This is about fun! Where do you really hang out with family and friends? 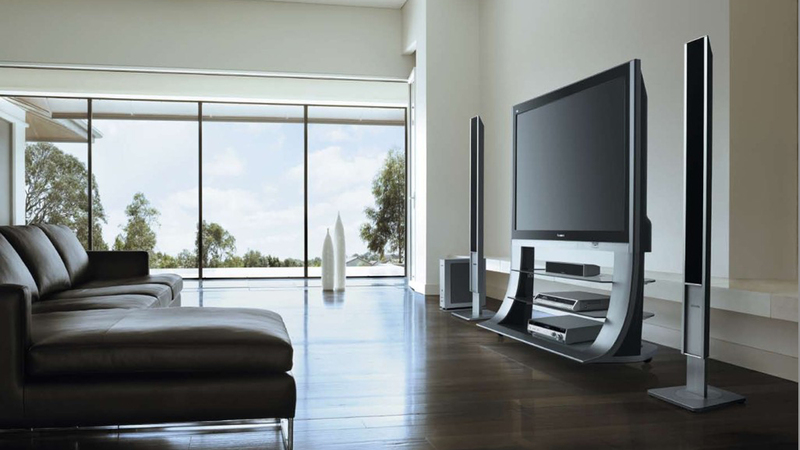 Offer Movies and music with high quality surround sound and high definition pictures in your family room or any other popular room in your home. Why not enjoy music and movies on your deck, patio, and around the pool. You can enjoy movies and music in real surround sound on a big screen right in your own backyard. Or maybe just a weatherproof, year round, outdoor flat screen TV. Rosemont TV & Sound has you covered. Your entertainment is made even easier with one, simple to use Universal Remote Control. Or, you may prefer additional control by a combination of handheld remotes, keypads, phones, tablets, etc. The point is, it’s up to you. Maybe you like a pile of remote controls on the coffee table or in their very own basket. Who are we to judge? Need and update? Does your new home have a system that you don’t know what to do with? Rosemont TV & Sound offers Consulting and Troubleshooting services to help you figure out, use, and understand whatever came with your house. Even if we didn’t sell or install the system we have the experience and resources to get you up and running with almost any system.